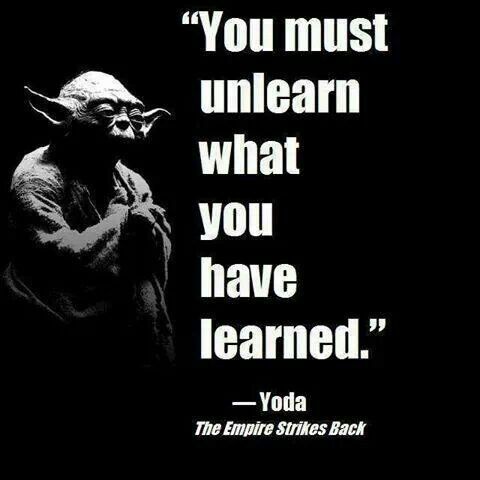 Probably one of the biggest challenges I face in the corporate world is helping people to adopt new beliefs and “unlearn” the things that won’t serve them any longer. I am not interested what degrees people have earned 20 years ago. My question is always what they have done to improve themselves within the last year. In Canada a degree has a shelf life of 5 years. This means, if you haven’t worked in a job with this specific knowledge application within the last 5 years, the degree becomes pretty much worthless. Today I would like to ask you…. How do YOU stay current in constantly changing times? What strategies do you apply to stay focused? How do you develop character strength and mental strength? Have you learned a new skill within the last 3 months? What goals have you set for your personal and professional life? Chances are that if you don’t do any of it, you sit in the passenger seat of life. This means life happens to you instead of being in control. If your life isn’t where you would like it to be, it should be enough motivation to get moving and start thinking how you can bridge that gap. Metaphor: Very few could run a marathon tomorrow but most could at least start preparing. We should all strive to get a little bit better each day. A better husband, a better wife, a better son, a better daughter, a better neighbour, a better friend, a better boss, a better co-worker, and the list is going on and on and on…. Be happy, get better and don’t forget to have fun along the way.